It’s been a bit since we’ve heard from Haybaby. The Band To Watch released their debut album, Sleepy Kids, in 2015, and followed that up the next year with the Blood Harvest EP. 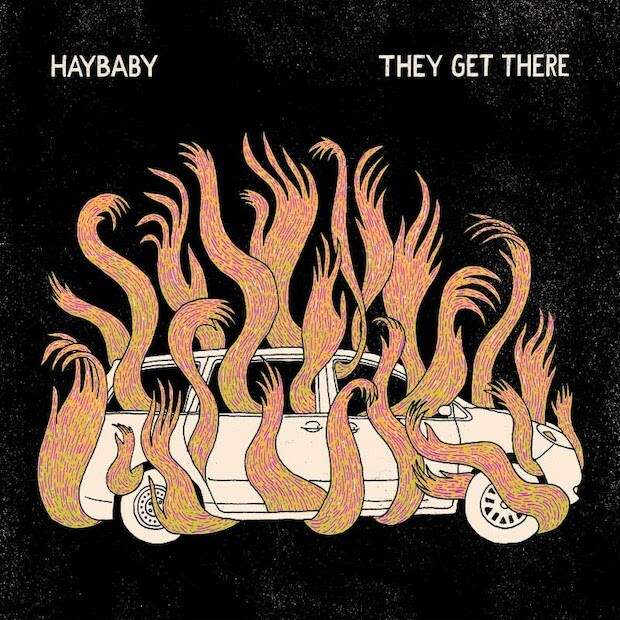 Today, they’re announcing their new album, They Get There, an appropriate title that reflects the hardships the band has gone through in the last three years, including a fire that wrecked their touring van, an event which is illustrated on the album’s cover. Listen via The Fader below. 06/08 Dallas, TX @ Transit Bicycle Co. They Get There is out 6/7 via Tiny Engines. Pre-order it here.